Once you have edited your videos with in-video editing software, you must export it to share on social networks and on YouTube. But to save your videos to a specific situation, there are many file formats. Get to know the seven most popular video file formats, and know which one to choose. Are you downloading or copying an existing file, or are you planning to make your own video? What kind of hardware and software are you using, or are you planning to use? Are you planning to distribute your video file online or through a physical medium? Your answers to this set of questions can change the type of container and codec you should use. To better understand your video file formats, let’s take a look at some of the most popular types on the market, and their specific features. AVI video file formats used to completely dominate the video market. However, the popularity of the format has recently declined, AVI videos are still common on the Internet. Microsoft replaced AVI with the WMV video file format in the mid-2000s. The original WMV was designed exclusively for streaming applications. However, alternative WMV formats, reminiscent of WMV Screen and WMV Image, have been released for use with specialized video content. Both AVI and WMV produce less compression than other competing formats, which means they provide better video quality. In contrast, they are large files. Other benefits of AVI and WMV include its wide compatibility with PC and Mac operating systems. Among the disadvantages, we can mention is the inability to select the rate ratios manually, which can be quite bad for some users. Like Microsoft’s AVI and WMV formats, Apple’s MOV and QT formats are compatible with Apple and Microsoft platforms. The MOV was designed specifically for feature films. Both MOV and QT are famous for supporting a wide variety of video content. These two video extensions are usually saved together. Both formats use a multimedia container file, which is separated into a banner extension. Users can dedicate all tracks to the storage of specific information (video, audio, effects and/or text). Another important advantage is that the MOV and QT formats are also compatible with a large selection of codecs. Derived from the Russian word matroska (doll), the MKV is an extremely popular video archie format for many reasons. Firstly, it is open source. Secondly, it offers a plethora of extra features. And last but not least, it supports almost all codecs. The main disadvantage of the MKV format is that it is not well supported by certain programs and devices. But if you’re watching or distributing your video files in VLC, XBMC, PotPlayer, or other MKV-compliant video player, the high quality and versatility of this format makes it an ideal choice. Popularized by Apple in the iTunes Store, MP4 is probably the closest we get to a universal standard. It not only stores video and audio files, but also texts and still images. With small file size and good quality, this format allows you to add interactive media and video components. Although this format offers less definition and fewer options than the MKV format, it is widely supported by a range of the most prominent digital devices on the market. Out of a collaboration between Panasonic and Sony, this video file format is designed expressly for digital video cameras. AVCHD takes advantage of the ease of H.264/MPEG-4 video compression technology, which can compress video information in extraordinarily small sizes. Perfect for people who record using their own video equipment, this format allows you to store hours of recording, using very little space, while not sacrificing quality considerably. AVCHD is a standard definition and high definition variations. The latest edition of this format (AVCHD 2.0) supports 3D video. 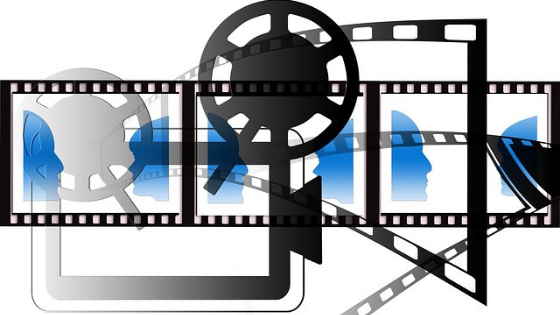 Flash Video has been around for a long time, and is divided into two different formats. The first format (FLV) is very popular for streaming video on sites like YouTube and Google Video. FLV files are usually small and can be downloaded quickly. SWF is the second Flash format, dominant for displaying animated vector graphics online (an acronym for Shockwave Flash). It can be viewed as a Flash animation file. Although they are famous for engaging streaming videos on the Web, Flash formats are not supported by iOS devices such as iPhones and iPads, which can cause major problems for Apple users. Developed specifically for the internet, this video format was developed by RealNetworks. The most striking feature of this format is that it works perfectly in low bandwidth streaming, but the quality of the video is compromised. To view files in this format, you will need to install extra software. So when you decide to save and share your videos in a specific file format, choose formats that can run on multiple platforms, and do not need any particular player.